A new book by Leonard Sweet and Frank Viola has been published today called "The Jesus Manifesto ." It is receiving thunderous acclaim from all corners of Christendom and I received the kindness of receiving a complimentary pre-pub copy of the book from the publishers, with the stipulation that I mention it on my blog here on the date it is published. So, many thanks to the good folks at Thomas Nelson for sending this to me and I invite you to follow either of the above links to see some of what the book is about and see some of the recommendations from leaders that many of you trust. As for me, I have read the first several chapters and each time I read a chapter it is hard to work up any enthusiasm for going back to read the next chapter. It's not that they are saying anything I necessarily disagree with, in fact much of it is spot on. But the book insinuates that these authors are telling us something new in telling us that the Christian life is all about Jesus. It reminds me of an incident from my childhood. As I grew up there was a Burger King not far from my house that I could walk to and I went there often to get a cheeseburger, fries and a coke. I loved cheeseburgers, I loved fries and I loved cokes. But during the summer I would go visit my grandparents in West Virginia in a small town where there were no Burger Kings. One summer my cravings for french fries overcame me and I begged my grandparents to take me somewhere to get some french fries. Later that day the most amazing thing happened. I went into the kitchen where my grandmother was slicing up a bunch of potatoes and putting them in a frying pan and then she served them and lo and behold, they were french fries. This excited me so much that when my parents came to pick me up later the first thing I did was run out the door and excitedly announce to my mom the following - "MOM! MOM! did you know you can make FRENCH FRIES out of POTATOES? Mawmaw knows how to make french fries out of potatoes!" My mom still howls over that one and trots the story out regularly at family gatherings. Frankly though, that's the feeling I get in reading this book - in announcing to the rest of us lukewarm folks that the Christian life is all about Jesus they remind me of myself announcing to my mom that you can make french fries out of potatoes. I don't doubt that we lose sight of Jesus, I know it's a regular practice of mine and I also like to tell my congregation that the gospel leaks, hence we must be reminding ourselves of the gospel all the time. In that respect this book has some good stuff to say. I do think that the work of Tim Keller and Mike Horton on the topic of recovering Jesus and the gospel are far more substantive. Also, J. Gresham Machen's book "Christianity and Liberalism" is still unsurpassed on the same subject. But these are just my reactions and I know I can be a bit cranky these days. Many folks who are far better than me like the book so I'll defer to them, but I still don't see what all the fuss is about. No, I haven't forgotten how to read a calendar. I just remembered that we worship on the first day of the week because Christ was resurrected on the first day of the week. Every Sunday is an Easter Sunday in some sense. So, may you celebrate the resurrection with God's people with great joy tomorrow. Also, I keep thinking I'll do a tribute to Michael Spencer some time but I never seem to get around to doing it for the same reason I don't get around to blogging much anymore. What energy I do have I have to put into time with the family, preparing sermons and doing as much pastoral work as I can before I need another nap. I'm not against blogging, and in my heart I haven't really abandoned the blog though it seems like it - blogging just has to take a perpetual back seat these days. But now worries, there are plenty of tributes to Michael out there so mine won't be missed if I don't get around to it. For those of you who don't know the iMonk's writings, Chaplain Mike is minding his blog and is reposting some of Michael's best stuff. So let me invite you to go over to the Internet Monk and get to know his writings if you never did and get reacquainted if you did know him. As a heads up this particular post is probably of interest to a fairly narrow audience. I have enjoyed reading some of Rodney Stark's work and I have talked to a number of fellow pastors who have also appreciated his work and have seen him quoted favorably in several places. Considering the Work of Rodney Stark by C. John Sommerville. And here is the Rodney Stark page at Amazon. Stark is a sociologist and he comes at Christian history using the tools of sociology. Although Sommerville says he has a secure place in "high-brow" culture, his book Rise of Christianity is one that can be appreciated by non-specialists and non-sociologists. Just realize that he is not writing as a theologian or even as a devout believer. But he does write as one who is sympathetic to Christianity and that article by Sommerville may help you understand his perspective and his sympathies. I just noticed that Stark has a new book on the Crusades - hmm, sounds interesting. Also, just a word about C. John Sommerville. Aside from the fact that he taught for years at the premier learning institution in America, he has written one of my definite top 10, all time favorite books. It is called How the News Makes us Dumb. I can't recommend that book highly enough, in fact I beg you, please, please, please, please, please read that book before you watch another news broadcast, read a paper or tell someone about something you read or heard on the news. His argument is not what you might think. The news is not bad because it is biased or because the journalists themselves are incompetent per se. The news is destructive to wisdom because it is daily. Again, I can't recommend that book too highly. And, getting back to Stark and the sociology of religion, it looks like Sommerville himself has a new book out on similar themes, only dealing with more modern times - Religion in the National Agenda: What We Mean by Religious, Spiritual, Secular. This too sounds interesting. For all of you like me who can't bring yourself to walk by a bookstore or browse an on-line catalog without buying at least something, and who also know good and well that you aren't going to read everything you buy, at least right now, here's an anecdote from the life of Umberto Eco that should give you encouragement to keep it up. The writer Umberto Eco belongs to that small class of scholars who are encyclopedic, insightful, and nondull. He is the owner of a large personal library (containing thirty thousand books), and separates visitors into two categories: those who react with "Wow! Signore professore dottore Eco, what a library you have! How many of these books have you read?" and the others -- a very small minority -- who get the point that a private library is not an ego-boosting appendage but a research tool. Read books are far less valuable than unread ones. The library should contain as much of what you do not know as your financial means, mortgage rates, and the currently tight real-estate market allow you to put there. You will accumulate more knowledge and more books as you grow older, and the growing number of unread books on the shelves will look at you menacingly. Indeed, the more you know, the larger the rows of unread books. Let us call this collection of unread books an antilibrary. Christianity is not about moralism, and Christian fiction shouldn’t be either. Christianity revolves, not around good behavior, but around God’s mercy shown to man in the death and resurrection of Christ. However, even though we know this to be theologically true, I think we struggle to remember this as we go about our daily lives, and one of the places where we really struggle to remember it is in our engagement with the arts in general, but as fiction is our topic, we’ll limit our reflection here to that. I’m constantly surprised at how often fictional stories are judged to be Christian or not, based more or less on how well the characters behave themselves. Of course it is true that morality matters - God has taken great care to expound in some detail the moral laws which flow from and are an extension of His own character. It is also true, though, that the Bible itself is full of flawed men and women whom God used almost despite of rather than because of their moral triumphs. However, when Christian writers incorporate flawed heroes into their stories, men and women with moral failings of any significance, they are often left open to charges of having given dubious testimony to their Lord. What I love about the video below is that Driscoll deals with some of the most severe problems that people face and these are problems that even we as Christians would offer some kind of spiritualized "self-help" answers to. For voices in the head and night terrors and other things like this we would tend to offer therapy. For lust we would offer some kind of accountability program and a variation of a twelve-step process. For the reconciliation of a relationship damaged by abuse we would offer communication strategies and boundary setting advice. In each case Driscoll is offering Jesus!! I can't wait to read the book. This is a long overdue shoutout, and thanks to the good folks at P & R Publishing and Bits & Bytes Inc, for making available "The Collected Works of John Frame" on DVD in the Libronix Software format for the reading public. They have published volume 1 at this time and there will be two more volumes coming out later this year and next, I understand. I'll save myself the trouble of listing everything on this DVD by pointing you to the page at Bits & Bytes which has the list. As you can see, it's got most of his books and a good number of shorter writings as well as audio resources for several courses he has taught. Quite frankly, we are beside our selves with joy over this. I was introduced to the work of Dr. Frame in seminary while studying under his disciple/protoge Richard Pratt and I think he is the best theologian we have going in the reformed world today. Here' s an interesting post by Andrew Sandlin on "The De-Intellectualization of the Reformed Movement." I have to say that I bristle a bit at the way he characterizes many of the leaders in the reformed movement as being somewhat less than "intellectual." But after he basically dispenses with every leader you and I know and love he says that John Frame comes the closest to a "public intellectual" in the reformed world today becomes he comes the closest to being a "paradigmatic" thinker. Regardless of whether Frame is a "cut above" the rest, he is certainly unique in his willingness to think new thoughts while holding to confessionalism and this makes him one of the modern greats. Many thanks to the Bits & Bytes folks for making this DVD available to me - how hurry up you guys, run out and get one before they are all gone. This is a review of the book "Do I Know God?" by Tullian Tchividjian. It was provided to me by the author and publisher and I am receiving no remuneration for this review (although Tullian was kind enough to sign the book for me!). I could see this as the "go-to" book for people who are struggling with doubts about their faith or maybe for a hypothetical seeker who I am imagining in my mind who has heard and is wrestling with the gospel and wants to know more about what commitment to Christ will look like. What I appreciate about this book is that it is a book on assurance but it doesn't follow the "assurance at all costs" approach that I have sometimes seen. What I mean is that on more than one occasion I have heard evangelists and others tell people that once they have prayed a sinners prayer or something of the like that they should "nail down" the date and never doubt their salvation again. Tullian doesn't do this. In fact, though he doesn't quote him, Tullian in some ways follows the pattern of Jonathan Edwards in "The Religious Affections." Edwards divides his book into two sections - the first one showing signs that are no certain proof that one's conversion is genuine, and the second showing those things which are distinguishing marks of genuine conversion. Tullian does roughly the same thing here. Now if you are a theologian wanting the full orbed treatment of assurance in excruciating detail by all means read Edwards - I myself hope to finish the Religious Affections some day - I've tried numerous times and can't make quite make it (henceforth I will call the Religious Affections my own personal literary Mt. Everest). But if you want a book that is biblically and theologically sound that you can put in the hands of a normal person (that's right, by implication, theologians are not "normal" in the normal sense of that word) then I doubt you could do any better than this book. 1. It's not enough just to pray the sinners prayer or walk forward during an evangelistic invitation. 2. It's not enough to simply remember a time in your life when you made a decision for Jesus Christ. 3. It's not enough just to attend church, tithe, teach Sunday school, preach sermons, or commit yourself to religious activities. 4. It's not enough to dive into spiritual experiences apart from a relationship with the living God. 5. It's not enough to live a good life or be a good person. 6. It's not enough to profess that you have faith in Christ if your life never shows any evidence of new life. This is a review of the book "Arminian Theology: Myths and Realities" by Roger E. Olson. The book was graciously provided to me by the publishers and I am receiving no remuneration for this review. I'll begin with a summary statement and say that this is an excellent book, one with which I have no complaints and one that I can recommend highly to you. Some of you are shocked at this point, wondering why I, as a Calvinist can give such a ringing endorsement to a book in defense of Arminianism. The reason is simply - Olson set out to clear up myths about Arminianism and thereby give an introduction and defense of Arminian theology and he accomplished his goal. This book is of great value to Calvinists and Arminians. 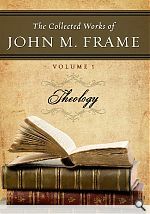 I suppose I ought to speak cautiously about how the book is valuable for Arminians, since I'm not one, but it seems to me that he does an admirable job of distinguishing the core beliefs of historical Arminian theology from some of its aberrations. In each section of the book he deals with a particular myth/reality and shows how Arminian theologians throughout history have viewed the matter at hand. He is particularly deferential to Arminius himself, but he is not afraid to point out where his followers have departed from orthodoxy. He frequently mentions the leading Arminian theologians throughout history - Simon Episcopus, John Wesley, John Miley and H. Orton Wiley and affirms, criticizes and points out weaknesses in each where he believes it warrants. He is particularly careful to distinguish the views of historic Arminianism from one of its leading propenents - Phillip Limborch. While claiming to be an Arminian, Limborch went off the rails in many ways, and Olson thinks that he and his influence have contributed to the notion that Arminians are heterodox. Charles Finney also receives his fair share of critisism in this. So, as I say, I can't help but feel that this would be helpful to Arminians who want to better understand their own tradition. The book will also be helpful to Calvinists because it gives us the chance to let an Arminian speak for himself and in this case I believe he does it in an articulate and irenic way. I think I have seen a few criticisms on the internet charging Olson with being too harsh on or misrepresenting Calvinists - I don't exactly see it that way. For one thing anyone is going to cheer for the home team and with Olson being an Arminian I could forgive him if he bristled and made an intemperate response to some Calvinists, although as I said, I don't remember anything particularly intemperate in the book. I also fully expect him to see Calvinism through Arminian eyes and to not read Calvinism as sympathetically as a Calvinist would. I think it's healthy for a Calvinist to see these kinds of reactions. But mostly, I think the greatest benefit for Calvinists is that in this book you get the chance to hear an articulate Arminian speak for himself. For most Calvinists, we get our knowledge of Arminianism from our fellow Calvinists and we tend to spin things in the worst possible way when it comes to Arminianism.